Brash Mass Natural Media Brush. A bold, robust brush with broad cover and a strong unambiguous graphic presence. 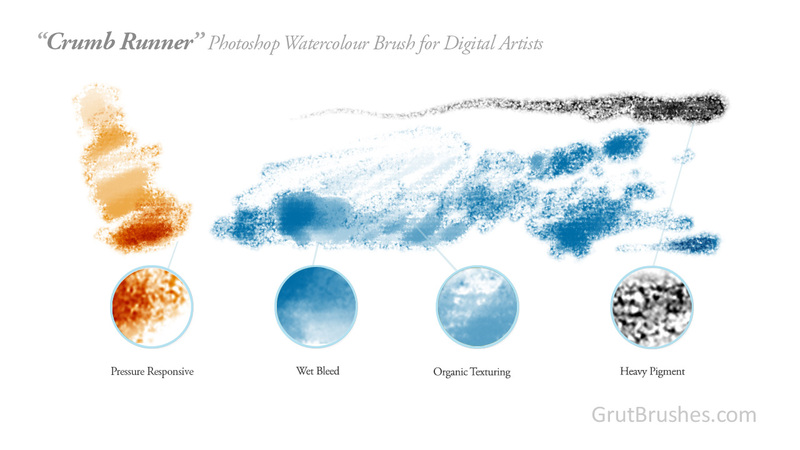 In a manner unique to digital brushes this ink-like brush has ultra-sharp crisp aliased edges while displaying a base texture more reminiscent of softer media like pastel. Although you can get a fairly sparse grainy cover at low pressure this brush quickly goes to full opacity with minimal pressure making it best for broad, confident graphic strokes. What is it that gives a brush it’s personality? It’s a combination of your style, how your fingers move and the brush itself. Just as you have a unique way of moving your wrist to create lines, each brush has it’s own unique stylistic signatures. Whether it’s a few stray bristles, the way it holds or releases water, oil, paint and pigment, or simply how slowly or quickly it tapers from a point to a blob, if at all. All these quirks and characteristics add up to give a brush it’s personality. The same holds true for a good digtal artists’s brush. 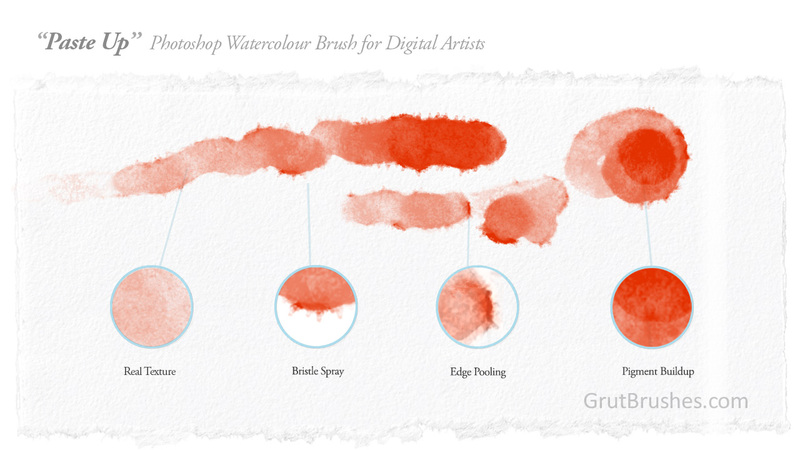 In this visual dissection I’ve attempted to draw attention to some of the the characteristics unique to the ‘Paste Up’ Photoshop watercolour brush, some of the most prominent features that add up to create the signature look of it’s strokes.